How to setup properly contact form with UniForms plugin ? 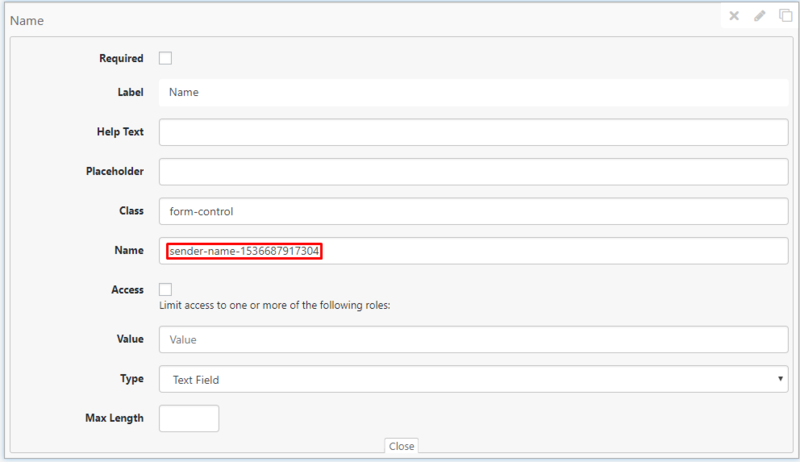 Name (text field) – this will be used for email sender name. Email (text field) – this will be used for email sender mail address. Subject (text field) – this will be used for email subject. Message (textarea field) – this will be used for email sender to write his message. Button (button field / type = submit) – this will be used for sending email. You can add more fields to your contact form but these 5 are basic for any type of contact, some of them may be skipped but take care if your form will not working you should close look if you are mising those basic steps. Ok we have setup a basic contact form so next step is very important for your contact form working as it should. 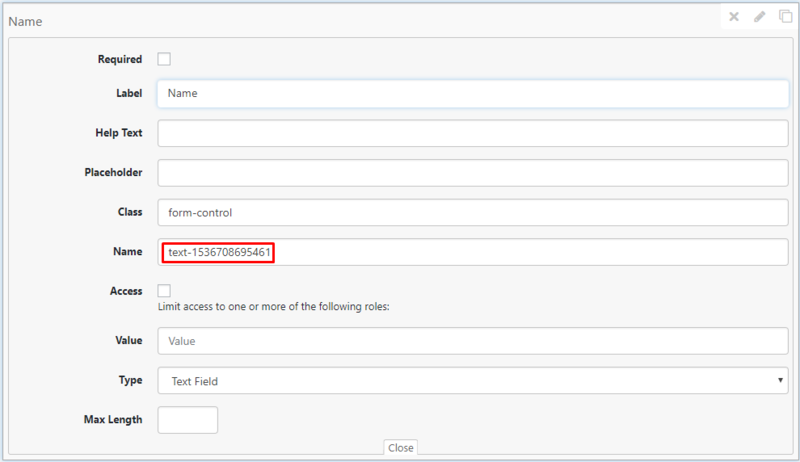 We have 5 basic fields added to our contact form, next thing is to edit text field name in proper way. Select your Name text field and click on edit icon you will notice than name field menu has been opened. Rename text-1536708695461 (the numbers may be different on your form) to sender-name-1536708695461 basically you are only renaming the “text” string into “sender-name”, leave random generated number untouched. You should do same for next fields: Email, Subject & Message. This rule doesn’t apply for any other fields except those basic 4 (Name, Email, Subject, Message). The button field does not need to be changed in above described way.